Jerome Sabbagh/Greg Tuohey Quartet Vinyl Release Show: "No Filter"
Saxophonist and composer Jerome Sabbagh was born in Paris and has been living in New York since 1995. 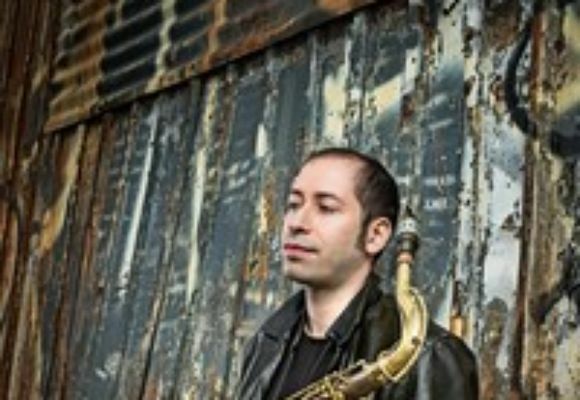 As a saxophonist, composer and improviser, he strives for lyricism, directness and tone. He has recorded six albums as a leader, "The Turn" "Plugged In", "I Will Follow You", "One Two Three", "Pogo" and "North". Jerome Sabbagh has played with Paul Motian (with whom he played at the Village Vanguard for a week with the drummer's New Trio with Ben Monder), Victor Lewis, Bill Stewart, Billy Drummond, Eliot Zigmund, Andrew Cyrille, Damion Reid, Reggie Workman, Matt Penman, Joe Sanders, Lage Lund, Guillermo Klein, Laurent Coq and Jean-Michel Pilc. The Jerome Sabbagh Quartet, as heard on the new "The Turn" (Sunnyside, 2014), "North" and "Pogo" features Ben Monder, Joe Martin and Ted Poor. It focuses on original compositions. The Jerome Sabbagh Trio, as heard on "One Two Three" (Bee Jazz) features Ben Street and Rodney Green. It focuses on standards. "I Will Follow You" (Bee Jazz) is a freer project featuring European drum legend Daniel Humair and Ben Monder. Jerome Sabbagh co-leads a band with keyboardist Jozef Dumoulin, featuring electric bassist Patrice Blanchard and drummer Rudy Royston. Their record "Plugged In" came out on Bee Jazz in April 2012. Jerome Sabbagh also performs duet with Danny Grissett. "Mr. Sabbagh avoided direct allusions to the saxophone totems. What he is working toward, simply and effectively, is a sincerely personal vocabulary.